Minimal Decor: New from MASH Studios! Look at that shape! Look at that storage! 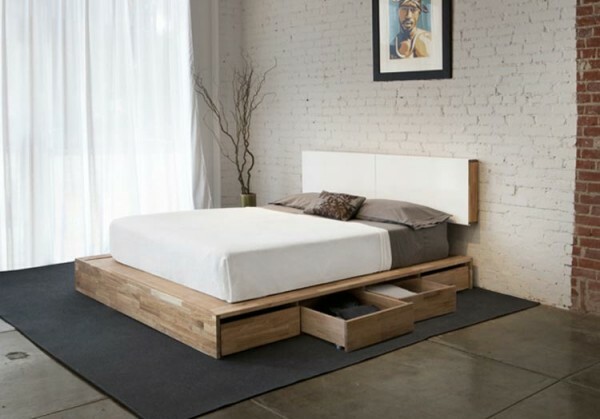 Like a veritable stage in your bedroom, perform your best sleep on the gorgeous Storage Platform Queen Bed. It's a perfect combination of incredible form and fun function. Don't waste all that space under your bed, use it with eight large rolling drawers for clothing, extra bedding or that comic book collection you don't want anyone to know you still have. Leave it on its own and it's a beautiful and bold platform; pair it with the LAX headboard and you create a sleeping battle station of storage and looks. (Though the headboard is sold separately). Made of solid wood with a natural oil finish, it is subtle enough to play nice with all your other furnishings, working together to create a dynamic modern bedroom composition. 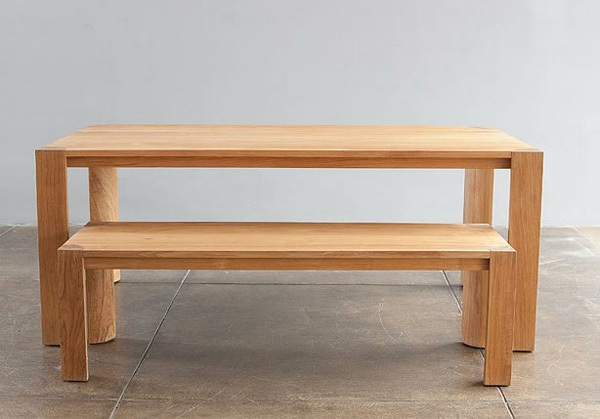 Here are reasons why you might want to invest in MASH Studios' new PCH Series Dining Table and PCH Series Bench: You like high-quality, modern, stylish furniture at a good price. You like staying up-to-date on the newest, hottest furniture trends. You have kids and need something big that will take a beating. You are someone who likes to spread out a lot when they eat. You like things that are made out of pretty wood. You breathe air. Basically everyone who is anyone will want to add these babies to their modern furniture collection because they're just so darn awesome. Much like their other items in their collection, MASH Studios pieces strike a perfect balance between that "Whoa! look at me" factor and the subtle way in which they mingle and merge with your other designs. Want more? Need more? We've got an interview with MASH Studios' founder Bernard Brucha right here. And always stay in the know at 2Modern on our What's New page.